Creamy baked brie, smothered in rosemary sautéed mushrooms and topped with a drizzle of balsamic glaze. 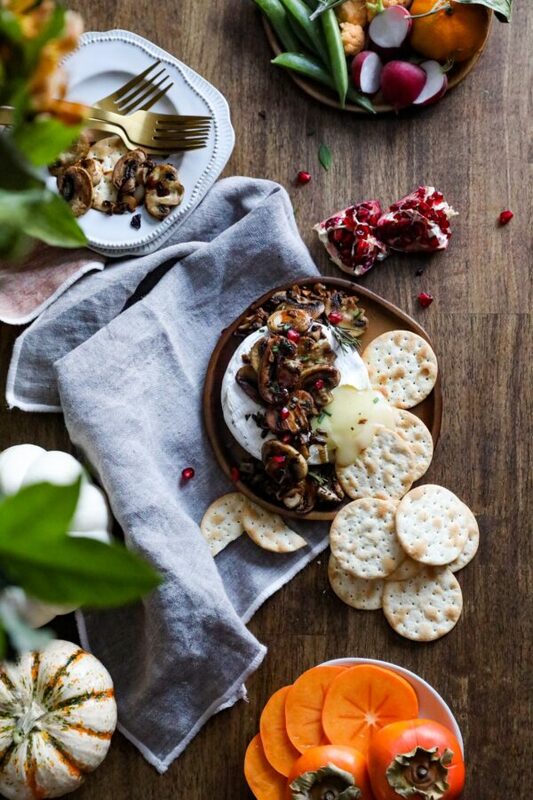 Garnish with chives and pomegranates for a festive kick. 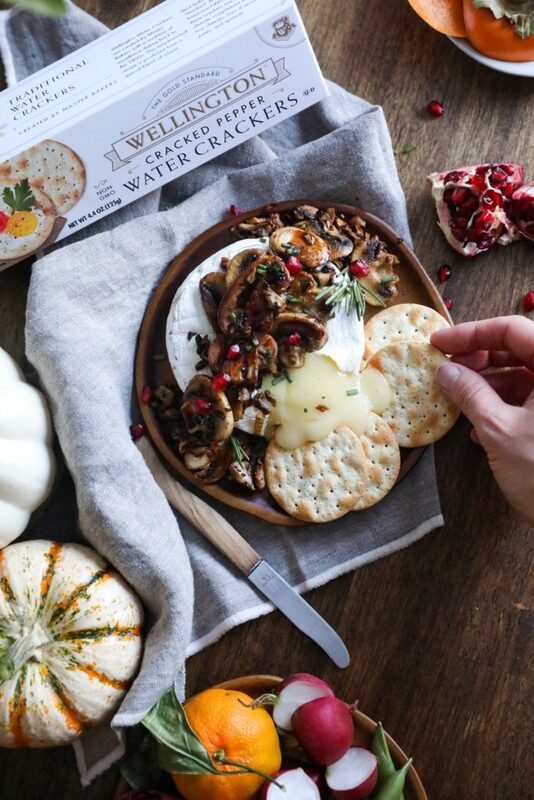 Remove the brie from the packaging and wrap in parchment paper. Place the wrapped brie on a baking sheet, and bake in the oven at 350 degrees for 15- 20 minutes, or until the top is soft to the touch. 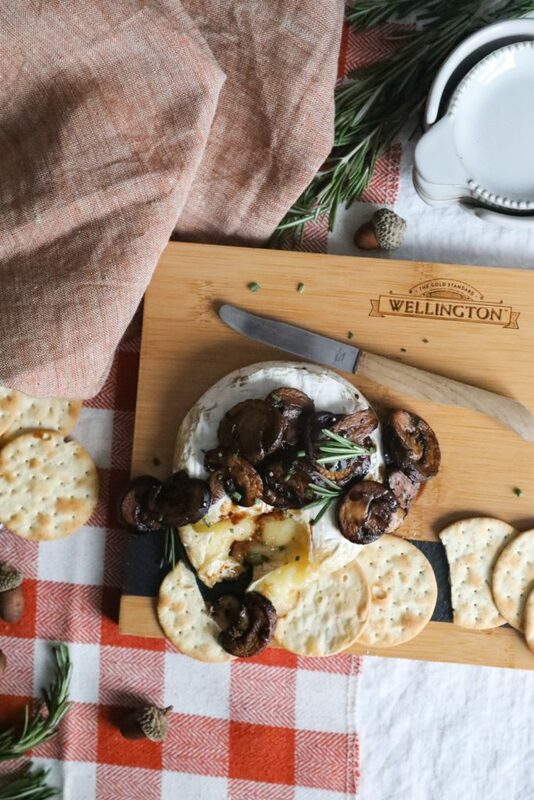 While the brie bakes, sauté the mushrooms. Heat the oil or butter in a frying pan, then add the rosemary. Next add the mushrooms to the pan and sauté until golden brown. Once the brie is ready, take it out of the oven and remove the parchment. 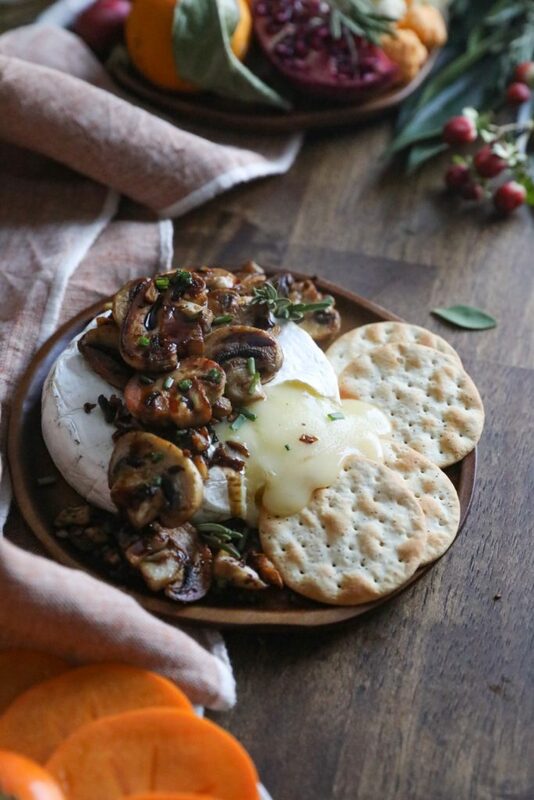 Place the brie on a plate or cheese board, top with mushrooms and balsamic glaze. In a saucepan combine the sugar and balsamic vinegar. Place over medium heat and reduce to syrup. Should take about 10 minutes. Stir occasionally throughout the cooking process to prevent burning. Keep in mind the glaze will thicken slightly when cooled. Pour into a container with a lid for storage while still warm.